Some messes happen in an instant while others are more drawn out over weeks or years. A recent, well publicized incident took place in in 2010, when an oil rig exploded and sank, resulting in the worst oil spill in history. It wreaked havoc on the environment as 210 million gallons of oil drained into the Gulf of Mexico over the course of just 87 days. BP, the company responsible for the mess and subsequent four-year clean up, ended up paying $18.7 billion in fines, not to mention that the environment was substantially damaged and that eleven people went missing and were never found. If not carefully planned, managed, and executed, large business and government projects can easily become a debacle. Today we’re talking about how the USCIS has struggled to digitize the immigration process through the Electronic Immigration System (ELIS) since 2005. It started with the goal to digitize eight popular types of immigration forms, which would make a 29% dent in the six million immigration forms processed each year. The original budget was $536,000 with the completion date being 2013. Not too complicated, right? Let’s start with the most obvious: governments, like large enterprises, are big ships and are difficult to steer. The more moving parts something has (and the USCIS deals with plenty of this; a single green card application has more than 80 pages of paperwork), the more difficult it can be to make impactful changes. The USCIS employs 13,000 full time workers along with 5,000 contractors. This means that in digitizing the immigration process, the USCIS has to effectively train thousands of people on how to navigate and use a new application system, which is a massive, time-consuming undertaking. Another obstacle is changing the outdated development and project management techniques the government is all too familiar with: According to the GAO’s report, USCIS failed to implement agile and open source techniques, among other management issues, which contributed to the delayed launch and the increase in budget. Now, after missing its launch date and going vastly over budget, ELIS only supports one form in limited availability. At one time ELIS supported 3 forms, again in limited availability — just a hair more than 15% of applications processed every year. Notably, in July 2015 an inspector found it actually took twice as long to close a case using ELIS as opposed to the traditional paper application. The ELIS applications are still only available in English, which severely slows down the process for non-native applicants and increases the likelihood that they’ll make mistakes that get their applications rejected. 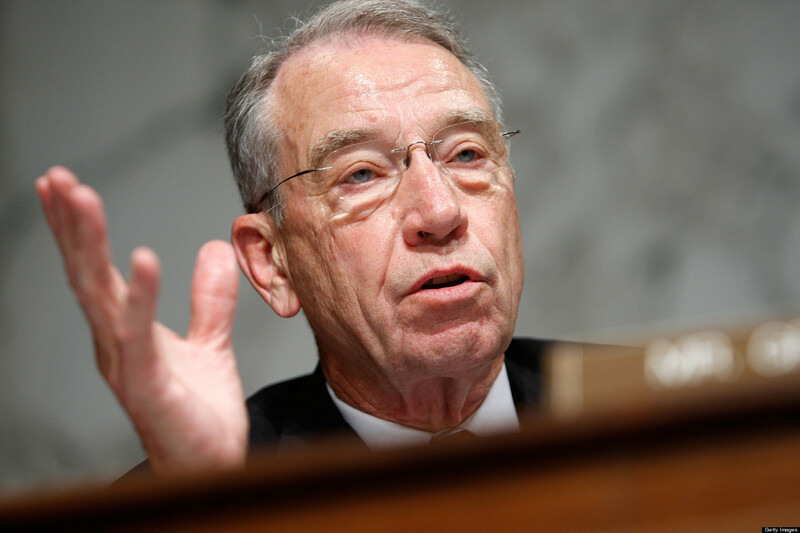 Possibly the most frustrating aspect of the whole debacle can be summed up by Senate Judiciary Committee Chairman, Senator Chuck Grassley, R-Iowa. This is worth repeating: the $3.1 billion used to build ELIS is coming from refugee, asylee, and immigrant money. Luckily, the White House stepped in for two weeks in June 2014 as part of the Smarter IT Agenda. Then came the U.S. Digital Service with some helpful solutions to help ELIS get off the ground. The USCIS could also take a leaf from other countries’ books. As many European countries were struggling with the applications of Chinese immigrants, these EU Member States looked to technology for a solution. The UK streamlined its process for Chinese immigrants. This year, France shortened the time of the visa application process for Chinese applicants to 48 hours. Germany plans to shorten its visa application process down to 48 hours for Chinese visitors by opening six more application centers in Chinese cities. One of the most frustrating aspects of the ELIS debacle is the setbacks that are faced by the immigrant families that are stuck with an archaic system of disorganized paperwork. Jerry Marken, a writer for the Washington Post, published a piece focusing on the failures of the system. He put it all into perspective, saying, “The project’s failures already have daily consequences for millions of immigrants who are in the country legally. Immigration lawyers say the current system leads to lost applications, months-long delays and errors that cause further delays. Immigrants miss deadlines for benefits, meaning they lose everything from jobs and mortgages to travel opportunities”. There are plenty of opportunities to improve the U.S. immigration process. They can start simple, just by making green card applications available in other languages than English. It’s also not always clear where or how to start immigration applications, so they can provide more resources to break down common scenarios. SimpleCitizen supports streamlining the citizenship and green card application process. We are proud to save applicants 90% of their time and money compared to traditional paper forms or immigration attorneys. We also make all forms available in English, Chinese, and Spanish, as a start. We can’t ignore that immigrants are core to building the cultural fabric and economy of our nation, so it’s in all our best interests to simplify the immigration process to attract the next generation of Americans. Millions of families every year overcome insurmountable odds to achieve their dreams of a new life in the United States. As the USCIS tries to figure out how best to move forward to bring their technology into the 21st century, they can learn from the determination and resourcefulness of these new Americans.